Able to sit upright and concentrate without distraction for training sessions. For VRT these last approximately 25 minutes, twice a day, six days a week; for NeuroEyeCoach these last approximately 15-20 minutes, two-six times a day for a maximum of two hours and for a minimum of three times a week. Able to operate comfortably a mouse button or the space bar on a computer keyboard for VRT, and the left and right buttons of a mouse or the left and right direction arrows on a computer keyboard for NeuroEyeCoach. Able to demonstrate that you can see letters shown on the computer monitor by passing the NeuroEyeCoach simple online font-size test. Able to understand and follow written or audio instructions. PC (desktop or laptop) with Windows 7, 8 or 10. NovaVision VRT is not compatible with Apple OS, however can be used with an Apple computer if Windows or a program such as Parallels (parallels.com) is installed. Screen size of 15” (diagonal) or greater is required and the NovaVision therapies will not operate below a minimum screen resolution of 1024(W) x 768(H). Some familiarity with computer operation and Internet browsing. The NovaVision therapies requires an initial download and run of an Installation program from the NovaVision website portal. Your progress reports are also downloaded from the same portal. Please note that, prior to completing the online registration questionnaire, the NovaVision portal will run a check on the technical attributes of the computer equipment being used to access the portal and will inform you if the technical requirements are not met. If you are uncertain of the technical requirements or have questions, please contact NovaVision Client Services. History of seizure disorders, especially those of a photosensitive nature. In patients with uncontrolled photosensitive seizure disorders, the NovaVision therapies may have adverse effects including, but not limited to, seizures. Severe cognitive defects, particularly due to the requirement to be able concentrate for two sessions of 15-25 minutes a day, six days a week in the case of VRT and 15-20 minutes, two-six times a day for a maximum of two hours and for a minimum of three times a week in the case of NeuroEyeCoach. Patients with active acute inflammatory diseases of the eyes or central nervous system should not initiate the NovaVision therapies until the acute phase has subsided. The NovaVision therapies will not be effective for patients without any residual vision whatsoever (i.e., total cortical blindness). The NovaVision therapies require patients to be seated for extended periods of time. If the patient has been previously diagnosed with deep vein thrombosis (DVT) or has been identified by their physician as having an increased risk of experiencing DVT, the patient should first consult with their physician before initiating VRT treatment. 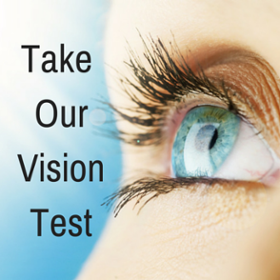 Uncorrected vision defects such as myopia, hyperopia, astigmatism, presbyopia or tropia (strabismus). Progressive disorders such as glaucoma, multiple sclerosis, diabetic retinopathy or macular degeneration. Although there are no age limits for the therapies, the NovaVision therapies are not recommended for children, due to the requirement to be able concentrate for two sessions of 15-25 minutes a day, six days a week in the case of VRT and 15-20 minutes, two-six times a day for a maximum of two hours and for a minimum of three times a week in the case of NeuroEyeCoach. In common with all activities requiring extended use of a computer screen, the NovaVision therapies may cause light headaches or fatigue if performed too intensively or without sufficient relaxation periods (breaks). If this occurs, patients should take more frequent breaks during the session or request shortened therapy times. If this persists, patients should temporarily discontinue the therapy until symptoms subside and notify their healthcare professional. It is recommended that a patient receive a prescription for VRT for one session twice daily, six days a week for six months. NeuroEyeCoach is a single-use program with 12 levels and 36 sessions that can be completed in 2-4 weeks and does not require a prescription. Physician contact information for NovaVision Patient Services should accompany the VRT prescription. The prescription, visual field test results, eye exam report (all for VRT), payment arrangements and the completion of certain other forms will be required before commencement of treatment. Therapy Reports for VRT and NeuroEyeCoach can be provided to the patient’s prescribing doctor if wished. Follow-up visits can be conducted to review patient’s progress and determine additional VRT therapy, at the discretion of the patient and physician.